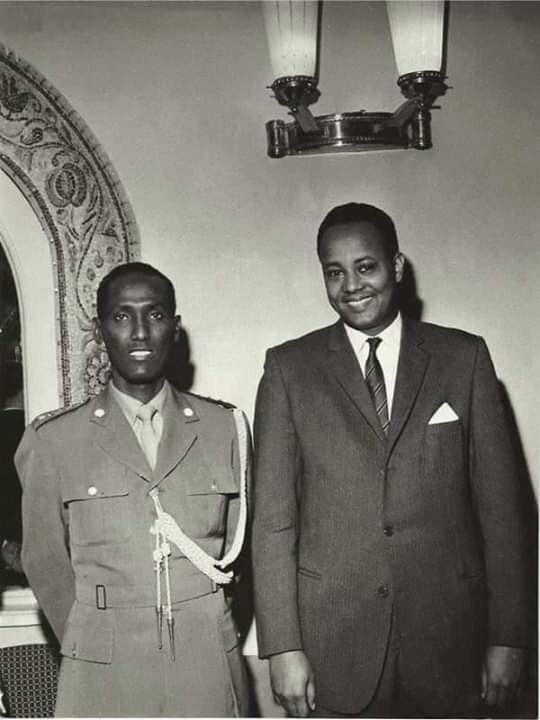 General Daud Abdulle Hirsi (left) and Ambassador Ahmed Mohamed Adan Qaybe (right) at the Somali embassy in Moscow in 1963. May Allah grant them both jannah. During the Cold War, the Soviet Union perceived the countries of Africa, Asia, and Latin America as the future reserves of socialism, holding the key to the ultimate victory over the forces of the “imperialist West.” The zero-sum game of East-West competition encouraged the United States, on the other hand, to try to foil Soviet ambitions. The result was to be expected: the two superpowers engaged in proxy fights against each other in distant, little-understood environments, often ending up ensnared in protracted and violent local struggles that did little to serve their own interests. A selection of documents used in the writing of Radoslav A. Yordanov’s The Soviet Union and the Horn of Africa during the Cold War: Between Ideology and Pragmatism (2016). Originating from Serbia, Romania, Hungary, the Czech Republic, Germany, the UK and the US, the sample of materials offer a glimpse of the variety of political, economic and military issues with which the Soviet Union had to deal regarding Somalia and Ethiopia throughout the Cold War, focusing not only on relations with the local states, but also with its East European allies, China, Cuba and the West.